Only people with exactly one post in this thread will be entered in the drawing. People with more than one post will not be entered. The deadline for posting your entry is 12:01AM on 11/17/2005. During my shift on 11/17/2005, I will have a co-worker pick a number between 2 and the highest post number in this thread. That person will be the winner. I will video the choosing of the number and post that video. Did I mention my birthday is coming up? Stuff I Could Have Bought For 800 Dollars. Haven't seen this flick in a loooooooooong time. Looking forward to it. Thanks, Richard! I'm in. I have Office Space and Grail so I won't enter those two. I've never seen this, so I'll join in here too. I just want it for the diva's performance. Thanks for doing this, Richard! I love that movie. I'll take it. Just remember #12. Edit, Ok, just remember lucky #13. I'm in....go lucky number 19!! Pick Me, pick me !!!!!!!!!!!!! Getting to know your Peeps ? PORK.....the other swear word ! I'd like to be your Fifth Element. I posted images of the front and back of each DVD over in the Want 4 DVD's? Let's start here. . . thread. If anyone has a doubt as to what version, please visit the link and view the images. 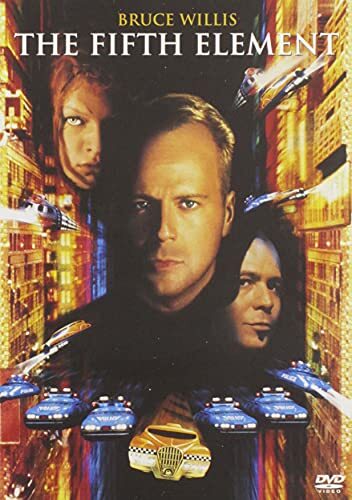 This version of The Fifth Element is the original release. /me can't believe that neither Skittles nor Maui has ever seen this movie! So I can harass you in this thread too! Woo Hoo!!! Oh wait. Fifth, sixth, Bruce Willis - who can keep all this stuff straight anyway? /me INSISTS that he win!